> > archived articles > write for core! be famous! Design-ject Management --New Roles for the "New New Economy"
While it is true that design professionals have seen the roller coaster of the economy make some big (okay, huge) swings in both directions over the last eight years, we should rest assured that we are amongst the many who recently have gone from asking "When will it end?" to the more agitated question of "When will it come back?!?". --Of the numerous professions that have been effected by these economic swings, none has seen more diversity and color in its evolution than that of design. Consider that it is only the dawn of the 21st century, and we have already seen several models of how designers work. It would appear that in the boom economy, the designer was often surrounded with supporting members, account managers, project managers and the like. With wildly huge budgets going around, there was money for several salaries. However, in harder times with tighter budgets, many groups cannot afford these three separate salaries and subsequently look for "two in one" or "three in one" employees with the "one" often being the designer. Of course, it would be naive to name the economy as the only force acting on these changes. In addition to tighter budgets and schedules, we are seeing a growth in sophisticated tools that are providing deeper and broader visibility into the entire process by designers and manager alike. Intranets and shared project files focus on visualizing the process so that all tasks are available to the entire project team at any given time -- a first in history. This is a major feat given that considering that the Internet as we know it today is less than 10 years old, and touch tone phones are less than 25 years old! Furthermore, a long-standing favorable trend towards "collaboration" is trickling up from business schools to management circles of Fortune 500 companies. This trend has become so prevalent that there are actual software applications dedicated only to collaboration. 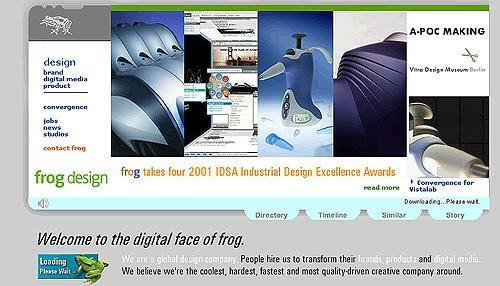 Frogdesign's Bizwerk and Buzsaw, once an Auodesk company, now spun off as its own venture, are only two examples of such packages. These tools are built, if for no other reason, than to expose and expedite the production process by allowing deeper visibility between all the different players. While we do not know how this blurring of roles impacts the design world in totality, we do know that there are already visible changes in certain parts of it. Take the hiring and recruiting efforts of some of the leading design studios as an example. Many would agree that there has been a dramatic shift in the profile of a designer over the years to reflect the needs of a hyper-communication marketplace; in the past, designers were often judged on the basis of their portfolios and their portfolios alone. In fact, it was not rare for a designer's portfolio to be the only touch point between a candidate and a studio. In some cases, offers were extended to designers without an interview ever taking place. Even portfolio sites, such as coroflot.com, have grown tremendously in popularity. Nowadays, such a practice would be almost unheard of. Designers, it would seem, are being asked to take a growing role in the management of a design program. While there are sometimes other players, such as a project manager or an account manager, the designer is required to interface with these groups as well as be able to work with clients, engineers, marketing groups, and so in addition to producing design. What else does this mean for design? Are design schools, for example, putting more emphasis on rounding out their student's skill sets beyond just doing great design? According to Nell Daniel, Director of Admissions at Parsons School of design, the answer is "yes". "While design skills are clearly at the center of what we look for in our applicants, we are increasingly interested in students who are articulate original thinkers, demonstrate leadership skills, and seek to use design as a tool for discovery, collaboration and change." Other educational institutions like the Leader for Manufacturing Program at MIT and the Product Design Program at Stanford University are taking an even more holistic approach towards integrating design with other disciplines. The LFM program is a joint venture between the Sloan School of Management and the School of Engineering. 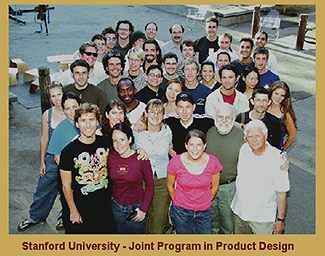 The idea here, according to the LFM Web site is that "students have the opportunity to become "bi-lingual" in management and engineering sciences..." Another example is Stanford's Product Design Program. Situated between the School of Art and the School of Engineering, it is described to provide "a design education which synthesizes the technical with the aesthetic". Yet, in light of all this 'bi-lingual synthesis' and overlapping of roles, there still is a great deal of autonomy that shows no evidence of going away. In fact, one could argue that this increase in sharing of responsibilities makes the "design" part of the designer's job all the more important. Roger Wong, formerly of marchFIRST, explains "I used to work at a small design studio where I did a little bit of everything. This was valuable experience that allowed me to learn many of the tools and processes. Then, when I went to work at marchFIRST, there were entire strategy, account, content, user interface and production teams that worked with the designer, which allowed the designer to be more specialized. But that sometimes lead to isolation from the big picture. Design can't happen in a vacuum. Now, as a freelance designer, I am working more like a small studio, with fewer people who share more of the work. This can be a very good thing as long as the designer is able to lead according to his or her vision." Interestingly, the project management camp has a similar message. Joshua Polsky, Product Manger at eMarker LLC, a Sony Subsidiary contends "a successful design program needs to be a marriage of design objectives with business objectives. There is sometimes a tendency for 'designers to want to design for design's sake'. Designers and Product Managers must both understand what customer problem is being solved by the product." The notion of a client having dual representation for both the design and the business is akin to that of real estate in which there is an agent for the buyer and an agent for the seller. While this does have some merit, the question still remains; what happens where there is not enough budget for both? Pure logic would suggest that fewer people are taking on more work. What do designers think of all this change? Well, it depends on the designer. Some contend that designers should not be bothered with the "non-creative" aspects of the project such as the budget and schedule. Others believe that the designer must not only be aware of, but be responsible for these details, as it is part of the total solution that is being created. "Design is not just about pretty pictures" says Bay Area designer Kathi McCracken. "Designers have a social, economic and moral obligation to deliver a solution that addresses the clients' needs on all fronts, including the business details. I mean let's face it, if a designer doesn't understand what business context the design must thrive in, how can the design be effective?". It is clear that the questions raised are complex ones; "what is the role of the designer?" and "is a large support team better for the actual design or worse"? Whatever the case may be, this is part of a never-ending step towards defining what "design" is. This can, and should, be considered a ripe opportunity to redefine our interpretation of design and what the actual role of the design should be, regardless of the economic conditions of today.